يشكل فندق Clonmara Cottages بموقعه الممتاز في قلب تولونج - روزبروك نقطة انطلاق ممتازة لاستكشاف بورت فايرى. لا يبعد الفندق كثيراً عن مركز المدينة، فهو يقع على بعد منها. في حين يستغرق الطريق منها إلى المطار حوالي دقيقة. بالنسبة لمن يريد الخروج، هذه بعض المعالم السياحية المتوفرة للزوار بور فيري, فورت فيري سنتر, مولوكا كروزس. إن Clonmara Cottages حريص على توفير الراحة للنزلاء، فلا يوفر الموظفون جهداً في تقديم أفضل الخدمات وضمان حسن الاستقبال. هذه بعض الخدمات الموجودة في هذا الفندق: متجر هدايا/تذكارات, تخزين الأمتعة, واي فاي في المناطق العامة, صف السيارات, خدمة غسيل الملابس. تنعكس أجواء Clonmara Cottages في غرف الضيوف.تلفزيون بشاشة مسطحة, اتصال لاسلكي بالإنترنت, حوض الاسترخاء, غرف لغير المدخنين, مكيف هواء هي بعض الميزات الموجود في العديد من الغرف. إن حديقة هو المكان الأمثل في الفندق للاسترخاء وتفريغ طاقتك بعد نهار طويل. إن Clonmara Cottages هو خيارك لخدمة الفنادق الراقية في بورت فايرى. العمر الأدنى المطلوب للتمكن من الإقامة في هذا العقار هو 19 سنة/سنوات. I stayed mid week for one night between client visits. For a business traveler the location within the township was excellent as was the outlook from my cottage. The setting was peaceful and relaxing. The space was suited to both work and play with a tastefully decorated interior. I'll stay again. Really well thought through. Super friendly. Altogether lovely. Really enjoyed our stay here. Loved the llamas in the field at the back. The garden, the small details such as the little vase of flowers and lovely bathroom toiletries. Plus a pretty little hen greeted us as we arrived. Perfect touch.! very nice place, will be back! This place was amazing! Decently priced, this cottage offered everything, they even had Panadol with the coffee 😂 honestly, would recommend, especially as the spa bath and Epson's salts ready to go was so great and just what I needed. But my favourite part was when leaving, there was chickens outside. A sign of a good cottage for sure. Beautifully appointed cottages with comfortable bed, gorgeous large bathroom and very functional kitchenette. Set in gorgeous gardens complete with chooks and llamas. 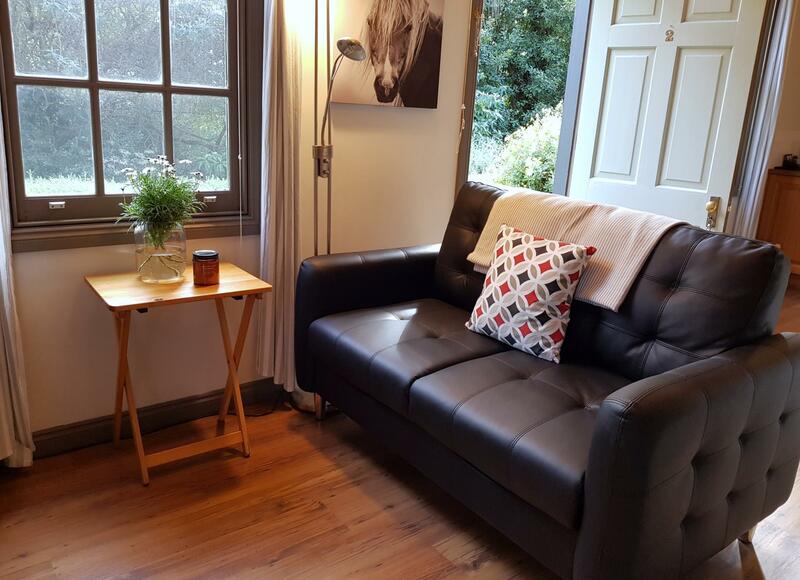 A perfect spot for relaxing after a day on the road and for exploring Port Fairy. A quaint little cottage close to town. Handy and Port Fairey is a lovely old fishing town. Would recommend. Nice big cottage with lovely bread and drinks and breakfast cereal all well provided upon check-in. Host Anna is very helpful as we arrived after dark and couldn't locate our cottage. When we called her over the phone, Anna even offered to come over to help as she is just staying across the road. Wonderful gesture. This property is lovely. Very well equipped with high quality soft furnishings. Fantastic spa bath. Cottages 4 and 5 are at the rear of the property away from the road. Loved feeding the alpacas. Short walk into the main town centre. Charming cottage. Has everything you need including a simple breakfast. Aww love this place! Wanted to move in and never go home! Must stay here!! Small, relaxing, peaceful! Exactly what we wanted for a small get away. The rooms were gorgeous and large. Everything we needed was there. Could not have been happier!! I loved our stay here. The facilities were beautiful and there were lots of personal touches. The owners were very friendly and couldn’t have been more helpful. I would recommend this to anyone! Charming cottage. The high ceiling within opens up the room. Well setup with a small balcony that looks out to the pasture where Alpacas and sheep are. Felt very at home. Room, decor, bed, kitchenette, bathroom and owners were very good. Road noise was not good and we were surprised we were placed in the cottage nearest the road considering we were there for 4 nights. However, location of property from town centre suited us. We enjoyed walking the 1km in and out of town. Tree fairy lights adjacent our bedroom were annoying because they shone in our eyes when in bed and did not turn off until after midnight. All else was excellent. 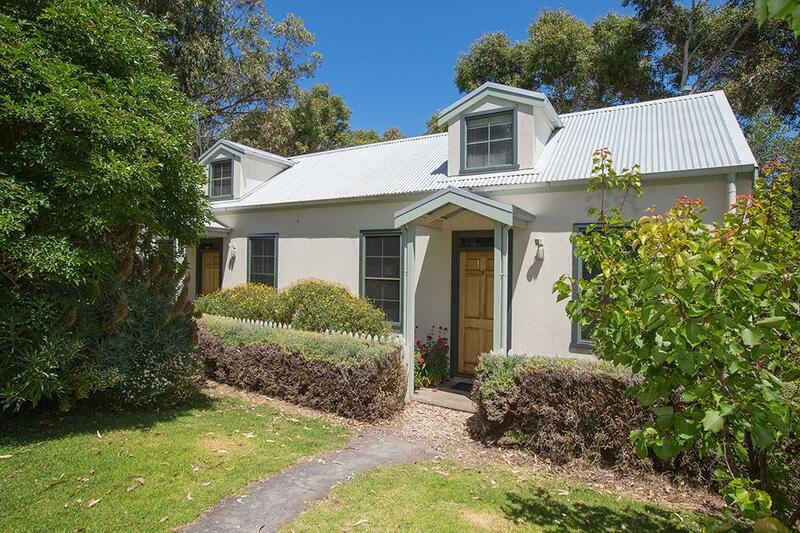 I was doing the great southern turning route road trip with my sister and we came to the cottage to stay during the night in port fairy. Mr Douglas was so kind to give us a tour about our cottage and the port fairy city. The fireplace was nice and it was a very cozy room with the massage bath and even rubber ducks! We can see alpaca outside our room too! Overall it's the best place we have stayed in this trip, me and my sister truly loved it. Excellent accommodation, amongst the best we have stayed in on this trip to Australia. Would not hesitate to recommend. Very pleasant and helpful proprietors.